Learning and motivation goes hand in hand no matter what you are trying to learn. When it comes to piano, successful learning would only be possible if you stay motivated. A mistake that many piano learners make is that in their struggle of trying to learn difficult songs in the beginning; they face failure continuously. These erroneous learning and practicing strategy along with failure demotivates them and thus many of them quit piano early. 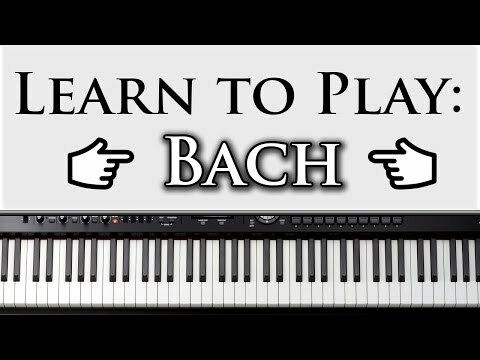 As a beginner, you should be focused on learning right methods and basics of piano and then gradually move to learning to play easy piano songs. You can learn to play piano quickly with a correct posture and beginning with some popular and easy songs. These songs would not only be easier to learn but would sound beautiful as you play them on piano. 3.3 3. 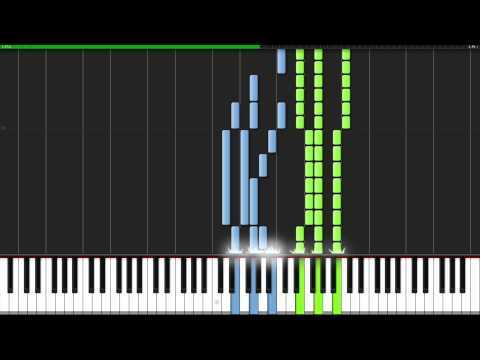 How to play Pop on Piano? 5.1 1. Why kids’ songs are the best choice for beginners? As you try to learn popular songs, you don’t need to learn the most difficult ones but there are many popular songs that are relatively easy songs to play on piano. It is true that you may not be able to learn to play these songs in first attempt. Although with practice, repetition and over time; you will be able to play popular songs well. You just need to prepare yourself and practice right selection of songs. Jazz is truly an essential aspect of learning to play piano fluently. It is more of a kind of structure that the language of music needs in order for you to be able to communicate your thoughts and expressions with this instrument. Just knowing notes and scales only would not help but you should be able to construct them in order to express a musical idea. 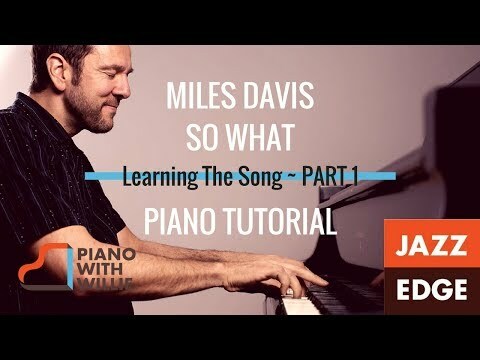 Thus first thing for any piano learner is to begin with learning jazz songs. Jazz includes the use of a number of different scales including modal scales, minor scales and many other useful ones. This genre of music is drawn from blues origins and it features influence from each and every type of music. Thus it may be pretty easier for you to go through it and once you get good hands on it, it would open up doors of ease for other music types as well. Jazz came in around the timeline of 1900s in New Orleans and a number of different musicians contributed from all over the world to give this genre diversity and variety. Louis Armstrong, a famous trumpet player turned jazz around with improvisation. But before him, Dixieland was known to be playing jazz music. From Louis, the sophistication and popularity of this music began to expand and musicians got exposure to a varied style of music to experiment with. Many different musicians played jazz style of music with piano but there are few without whom jazz wouldn’t be what it is today. These musicians are Art Tatum, Thelonious Monk and Oscar Peterson. These artists proved to be a great inspiration to all the piano players and especially to all the jazz musicians. They improvised this musical genre and made it popular all around the world. If you want to learn modern jazz piano music, you may listen to famous artists like Herbie Hancock, Kenny Barron and Michel Camilo. They are some of the most popular and specialized jazz piano players. Learning to play jazz with an instrument as versatile as piano can be the best thing for a musician. If you are a beginner in music and are learning jazz, understanding of this genre would prove to form the best base. You will gain an enhanced authority on music and will be able to appreciate any other genre that you opt to become an expert at in future. Jazz as it is derived from classical harmony and technique; it features appealing patterns and melodies of music. Learning jazz would take you to the flashback of beautiful musical history. Not only that but this genre is most collaborative in nature and it would embark a spirit of competition in beginners so that they will strive to get better with virtuosity in a new way. Go slow but in a pattern: Learn to play jazz at a pace that is slow and manageable. Play jazz in a swing manner that is playing all the notes of a scale unevenly but in a particular pattern such as long, short, long, short and so on. Improvise in a variety of ways: As you practice this genre, you must be able to improvise and transpose different melodies in different styles. Jazz will help you in developing a creative and challenging rhythmic skill. Practice scales and modes: Practice scales and different arpeggios that will help you improvise piano harmonies. Practicing scales and chords is an important aspect of learning jazz piano. Work on technicalities: You can find a number of different technical exercises to practice jazz music. Click the metronome down and hit high in order to get a feel of learning jazz. For example converting notes to eight swing. Hereby technically notes will be played with same speed but will be converted to eight swing. This practice would help you in developing timing and skill of playing jazz. Work on diversification: Endless variations can be made in melody and rhythm with piano and exploring those variations would make you practice jazz on piano well. As you work on diversification with jazz styles, you will not only be able to improvise your skill but would be able to identify your personal style and voicing. Here we are listing some of the easy piano songs belonging to jazz genre that are absolutely suitable for beginners. These pieces comprise of standard tunes and thus would be easier to follow for any novice jazz pianist. Autumn Leaves: This song includes a beautiful melody with a steady rhythm in patterns. This classical jazz piece has II-V-I chord changes with G Major Key and E Minor Key. Following a 32-bar AABC form, try practicing this song in the way it is. You don’t have to be creative in the beginning. Just try playing along. Summertime: Best would be to begin playing this song slowly following the pattern in an off-beat manner. This is again an impressive classical blue with an opportunity for jazz beginners to explore clichés for chords. This song is mostly based on D Minor chords and follows a form of 16-bar AB. 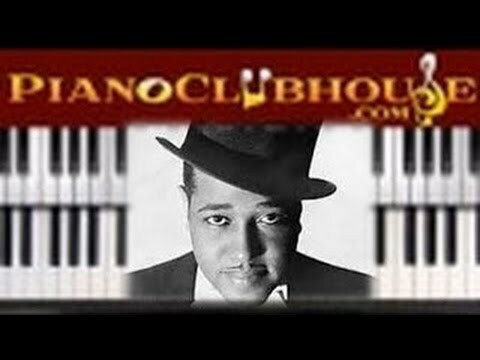 Satin Doll: An all-time favorite Ellington classic with a complete tune played over a comfortable tempo with II-Vs and II-V-Is. For beginners, it is a great tune to follow and it would really help you in playing jazz well. Fly Me to the Moon: Frank Sinatra, the classical crooner highlights a beautiful descending melody that is catchy and interesting to learn. Its chords are mainly related to the C Major and follows 32-bar ABAC form. Rhythm can be swing or Latin with a cycle of fifths chord progression that sounds wonderful. Easy yet beautiful movement of this songs makes it most interesting. 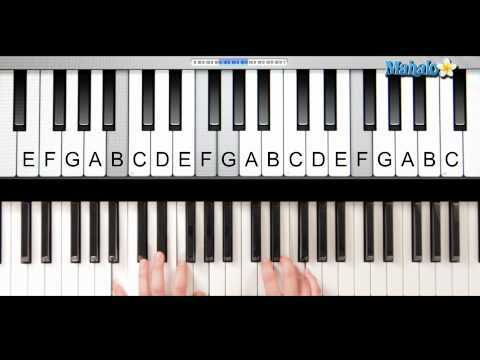 So What: A combination of left and right chords in the song, this is a favorite number that helps you exercise hands co-ordination and stretching over piano. Beginners should include this piece by Miles Davis in their daily practice. Simply beautiful 8th rhythms flowing bass melody that follows 32-bar AABA with D Dorian modal chords. Begins with 16 then half step 8 ad last 8 bars again. Jazz piano skills and theory can be learnt in a variety of ways and one of the most effective method of learning is through resources available online. There are a number of good free resources available in the form of websites that not only teaches you basics but aids you in learning good jazz piano practices and improvise your skills. As we talk about the term pop music, the name refers to the music that has greatest appeal among audiences with a wide popularity and distribution in industry. Similar goes for pop piano music. This is the type of music that is performed in varied styles and forms and can be enjoyed by a number of people. It is quite different from classical and other traditional styles of music that are usually targeted to small group of people. Opposed to traditional form, pop music is created and played to appeal a diversified audiences. Pop music in its modern form originated back in 1950s derived from rock and roll while the first ever pop song was recorded in 1926. A number of pianists contributed to this musical style and some of the most popular ones were Elton John, Billy Joel and Stevie Wonder. These artists had been one of the greatest pianists in their period and have made their mark in history of piano with their special talent and skills. Two of the most powerful and inspiring women pianists playing pop are Carole King and Alicia Keys. Both are most impressive pianists as well as vocalists. Pop genre in its contemporary form may not be simple but once you gain your hands on it; it would prove as the most rewarding work that you can do over piano. 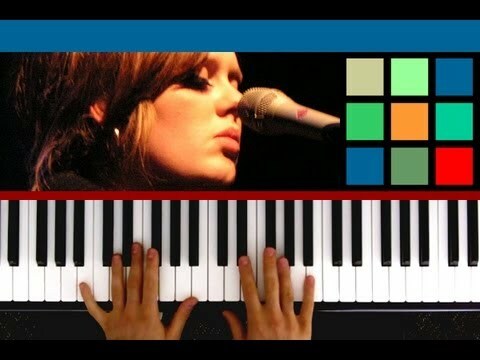 It has a wider range and thus a beginner can explore all the different sounds with pop piano music. Not only the range is wide but the style gives you freedom of playing with sounds to give complete expression for varied performances may it be weddings, bands, tours or recordings. In comparison to Jazz, pop music is much easier as it is easily memorable. 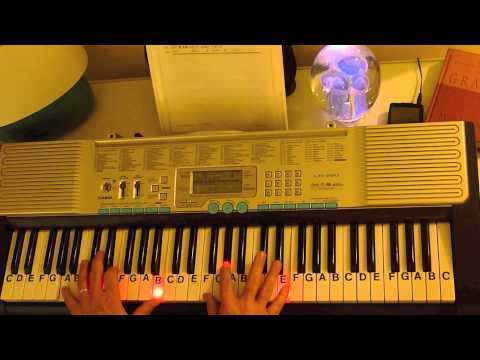 Pop music has simple rules over piano or any other instrument and thus a beginner can easily and quickly begin to play simple pop numbers of piano. Most of the pop songs have repeated sections and harmonies are usually simple too. Apart from that a pop number can be played in a variety of ways. Even if you play a song differently than the way it is recorded or proposed; it would still remain that song and would be appealing too. 3. 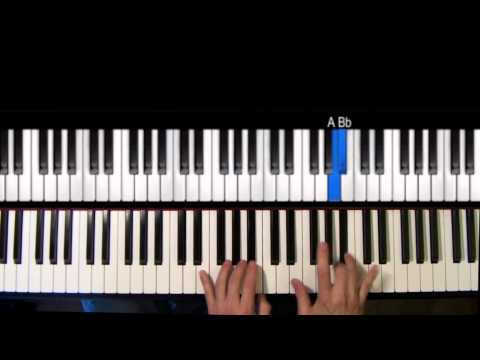 How to play Pop on Piano? Listen to Popular Pop Artists: All the pianists have some inspiration no matter what genre they are interested in. If you really wish to improvise your pop piano skills, the best method would be to listen to different pop pianists. Not just listen to them but try to focus on how they voice chords, their movement of bass, their filling of the bars along with their gestures while playing. Patterns and rhythms of pop music vary and listening and watching these different pop pianists play would prove to give you distinctive benefits for playing more effectively. Pop comes with a variety: There is a lot of scope for versatility in your style of playing pop music on piano which is completely opposite to classical music where you get to read and play specific notes. Pop music can be explored for varied styles and you can choose which style you want to opt for. When you are playing on one of the best digital pianos, you can chose any style that perfectly suits your piano. Your piano music can be romantic, rhythmic, sad etc. 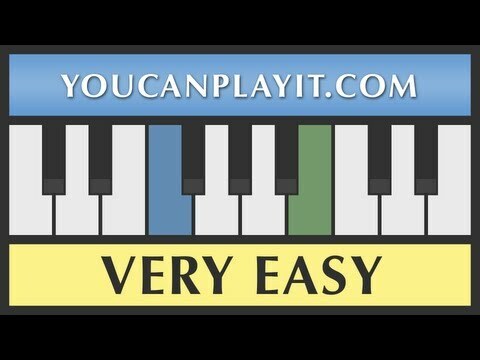 You don’t really need to begin with the most difficult song but you can begin learning with piano songs for beginners. When you begin with your favorite song, learning becomes more of a fun for you. So here we are highlighting some popular pop numbers that a beginner can learn to play with ease. 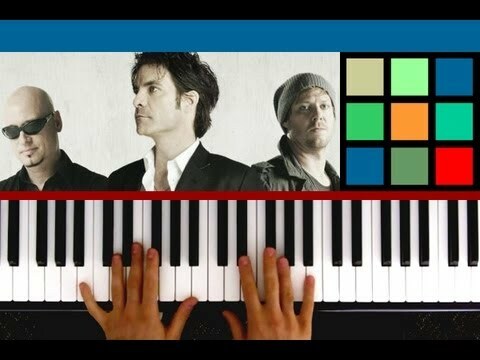 Drops of Jupiter: Drops of Jupiter by Train is an award winning number that works beautifully well on piano. This pop number gives a beautiful feel and melody on piano especially on areas after verse and during the chorus. This song proves most appealing on piano when complemented with drums and strings. Someone Like You: A popular number by Adele that has gained fame all around the world. This song is much simpler for beginners as it has four repeated chords including A,E, F#minor and D. Melody remains in the right while arpeggios are played continuously with your left. 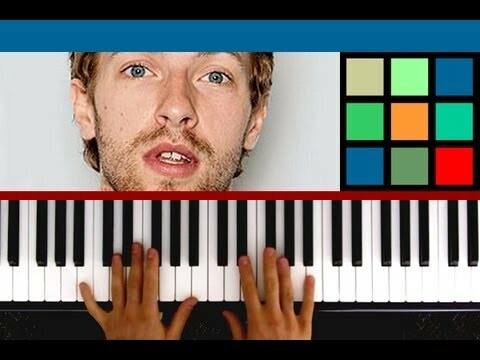 Clocks: This is one of the famous hits by Coldplays and is a fun number on piano. With only some different sections to learn, this number encourages beginners to play with improved rhythm and pattern. Right hand arpeggios pattern while left carried for rhythms with verse and choruses bridged with constant notes. The chorus is Eb, Bbmin and Fmin with one, two and one bar respectively. 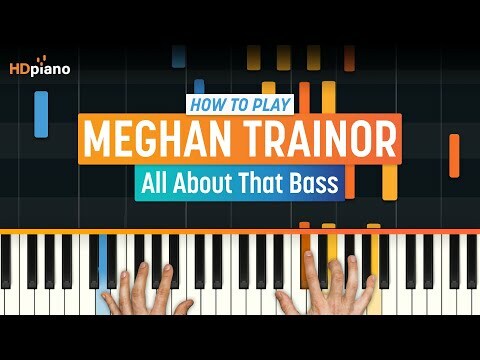 All About That Bass: Another popular chartbuster is All About That Bass by Meghan Trainor. It features nonstop repeated progression in the song with chords for two bars and whole progression for eight bars. Bass is practiced with left while melody is carried right giving beginners a chance to practice right and left hand co-ordination. 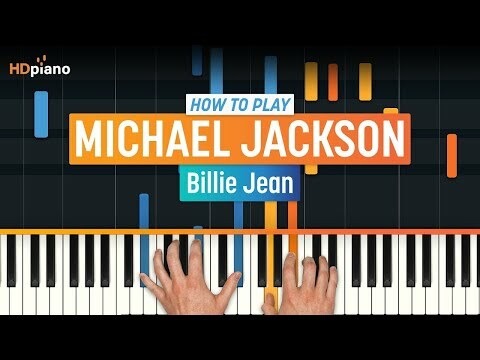 Billie Jean: With verses, choruses and beautiful synth parts, this Michael Jackson’s popular number is another fun track to play on piano for beginners. It dates back to 1982 but it still remains one of the most favorite pop numbers. Right hand chords with left hand bass line 4-note, this song includes playing chords F#minor, G#minor, A and G#minor. Enriched with proper flavor and principles of music, classical piano is the most versatile genre of music that a pianist can learn. This way of music is the oldest form of art and emerged through 1750s. Earlier this style was played for royalty and those belonging to upper class in European region. Later it rose and began to spread to other regions too transforming to baroque, romance etc. Classical itself is a combination of variety of styles and thus individuals who want to get trained with classical may need to learn all those versatile styles too. Some of the famous pianists who have made their mark in classical piano music include Johann Sebastian Bach, Ludwig van Beethoven and Wolfgang Haydn. Many others also joined in with their own creativity to inspire other pianists. Some other popular names are Wagner, Chopin and Claude Debussy. Although beginners may find it very hard to learn but it is actually not difficult if you know proper technique. Without knowing basics and technique, a beginner may have hard time learning this style. 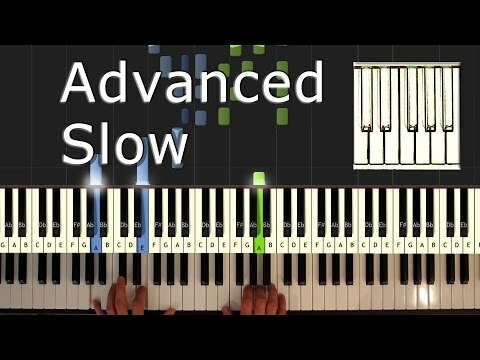 Once you know classical theory and technique well, you will be able to make a strong base for yourself as a pianist and will be able to pick up other styles much quicker. Classical music is all about getting classically trained in music where you are tied to reading a musical score or sheet for playing whereas this is not the case with jazz/pop piano. Jazz and pop needs you to be a whole lot creative and most of the jazz pianists play without any written material enriching their music with their own creativity. Both the styles of music on piano can be complicated and demanding. Perhaps many of the expert pianists have learnt to play piano beginning with classical and once they get their hands well on this competitive genre, they have moved to jazz too and found success as well. Jazz pianists however do not have that kind of musical training that classical ones do. As classical is based on written material there will be less chances for beginners to make errors without noticing them. Training yourself with classical would prepare a musician with a strong foundation of music. With that knowledge, practice, time and experience; you can learn to improvise and become more creative pianist no matter what genre you may wish to pursue in your career as a pianist. Get a good piano teacher: Although there are many resources available in the form of books, websites, tutorials, online lessons and videos but if you really want to get yourself trained in professional classical music on piano; it is recommended that you should get help from an instructor. A trained classical pianist teacher would be able to help you in many ways. You will be able to get your hands on musicianship and will be able to develop technique to play. Keep going from beginning to end: As you learn to play a classical song, there are chances that your beginnings would be excellent but as you carry along the track your notes may become shaky as they reach the end. Starting all over again is not recommended and you must try to make it from beginning till the end. Focus is everything: Focus is extremely important. With classical, you have notes to follow and thus if you lose on your focus and concentration; you may end up losing your notes and entire track. Keep your eyes on notes: As we said earlier, classical music involves musical sheet with everything written on it. Try to keep your eyes on the musical sheet rather than looking at your hands. You will be less nervous and would be less likely to lose concentration and making errors. Go Slow: You may be able to play a classical number well at full speed but it is always advised to practice at a slower pace. Slow down the metronome and play piano at a relatively slower speed in order to learn to play well. Playing something too fast but not well, better play it slow and well. A Little Night Music: This piece by Mozart however is orchestral but one can easily play it by converting it in a solo over piano. Break down pieces of the track and practice relatively slower in order to get your hands on melody over keyboard. Prelude: This C Major classical number by Bach is one of the most suitable choice for beginners. This reflective piece is fairly ease and it only needs a little bit of memorization. If you are able to memorize well, you will find this piece really interesting and sophisticated. Moonlight Sonata: This classical number is by none other than expert pianist Beethoven well-known for this genre of music with piano. The music is filled with emotions, expressions and is a true spirit of earliest romantic era of music. This C sharp minor track is the one that a beginner will instantly recognize and will be able to get into the movement of this track. Smoothly moving triplet with right hand and heavy melody with a lighter bass line is Moonlight Sonata. This song will offer you a magical experience as you begin to learn classical piano as it is not only beautiful but it is fairly simple too. 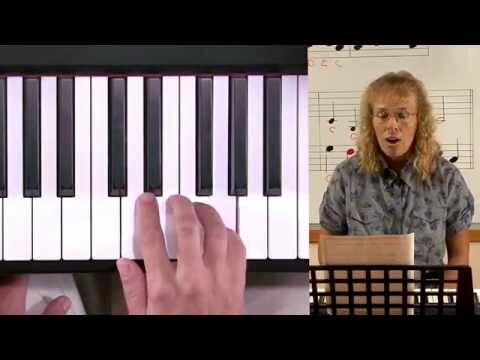 To a Wild Rose: Another simple yet popular track is by Edward MacDowell and you will be learning to use both hands together for this track in a simple way that would be easy to follow for beginners. Have notes right in front of you so that you can follow well. First try with one hand at a time and then you can play it altogether. Swan Lake Theme: This piece is ever so popular and the rhythm is so very simple that a beginner can easily memorize and play this piece with ease. Many a times you would have heard this music to be played for accompanying dancers and the melody is so strong and romantic that you will not forget it once learned well. Here are some best resources by some of the best classical pianists and composers. These are best books for beginners who are starting to learn classical piano. 1. Why kids’ songs are the best choice for beginners? Beginning with kids’ songs for learning to play piano is essential if you want to learn and begin to play quickly in an interesting manner that makes you sound appealing. When you begin with easy kids’ songs, you gain success much quicker than if you would have begun with difficult numbers and this method thus gives you motivation and encouragement to slowly and gradually raise the bar of difficulty with this instrument. Simple kids’ songs are excellent choice for novice piano learners with no knowledge and who have never worked with piano or any other musical instrument. These songs are designed to be right for all ages. Kids’ songs are usually short and as your concentration span would be limited in the beginning; these beginner piano songs would be lot easier to start with. So it is better to start with small hands for a limited frame of time with limited information rather than turning learning piano in to a disaster with bombardment of all the information and difficult techniques. You will be able to develop real love for this beautiful instrument as you will slowly and gradually learn progress with simple kids’ songs and exercises. Old MacDonald: Kids love this song for the animal sounds involved and would love to play this song. You must know the melody and sing along to practice and learn this song. You would be using both hands together for this song. Mary Had a Little Lamb: Singing and playing this song along is fun and is a perfect one for beginners. This song again involves use of only five fingers of one hand as you will be playing five notes that are placed close to each other. So your hand will stay in one position. It goes like E, D, C, D, E, E, E then D, D, D, E, G, G and so on. Twinkle Twinkle Little Star: Kids and adults would enjoy playing this classical nursery rhyme and one of the best things about this song is that almost each note of this song is played two times in a row. Thus a learner would need to know and locate few notes only and these notes will be repeated. 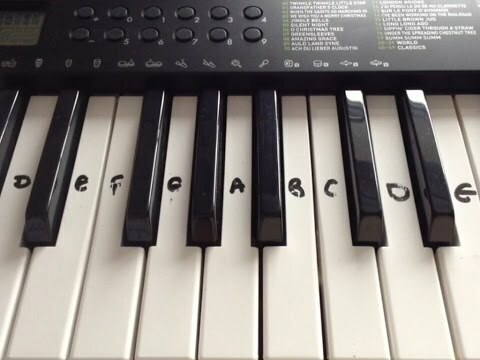 For beginners it is recommended to learn one hand at a time and then the other one before putting both the hands together on piano to play this song. It goes like C, C, G, G, A, A, G then F, F, E, E, D, D, G and so on. Itsy Bitsy Spider: Much simpler to play, the itsy bitsy spider is a fun song to learn, sing and play altogether. 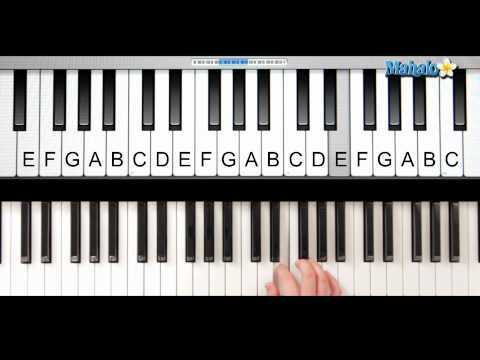 Kids love to act on this song and thus learning to play it on piano would be something that they would really love. For adult beginners it is a good practice of fingers where again all your five fingers would come in action while you hand movement in one place only. First line goes like G, C, C, C, D, E, E, E, D, C, D, E, C and rest is the video to follow. Are you Sleeping: Another easy kids’ song to play for beginners. 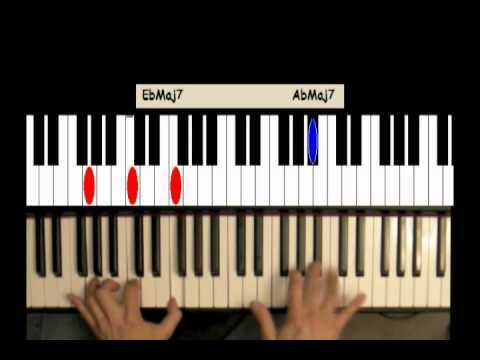 Beautiful melody with notes introducing basics of piano as you start on C with your thumb. One of the finest way of learning this song is to number the notes from 1. It would then be easier to memorize and play as melody is repeated throughout the song. It is easier to get overwhelmed by all the different types of music and style of playing piano but don’t get intimated too soon if you are not able to learn well. Learning an instrument as beautiful as piano would not be an objective achieved overnight. It would need concentration, time, dedication, hard work and a lot more. Get yourself started with any type of piano music and some easy piano songs in that specific genre that you find interesting to learn and play. Simplify arrangements and notes according to your level and slowly and gradually with practice; you will be able to improve at it. 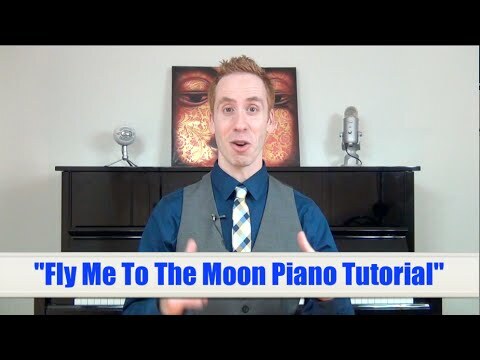 I agree that learning easy songs keeps beginners motivated for piano learning. In almost all the cases, people only fail because of wrong choice of songs to play for their early piano learning sessions. If you choose difficult ones, you will end up frustrating yourself rather than learning a single piece. Appreciate this detailed knowledge for early beginners! Good tips for beginners. Thank you for sharing.